Persimmon is known by many names including, Sharon fruit, Japani Phal or fruit in Urdu, and is Diospyros kaki in Latin. As with all orange fruit, persimmons are high in beta-carotene and this fruit is an excellent source of iron, so suitable for preventing anaemia. Just 100 grams of the fruit every day improves cardio-vascular health and lowers the risk of lung cancer in smokers. Persimmons also contain ascorbic acid, thiamine, riboflavin, niacin and calcium and have a high carbohydrate and protein content. 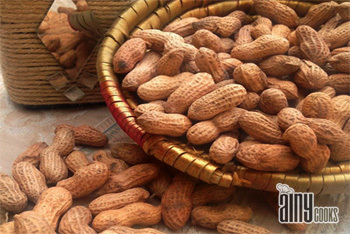 They are packed full with substances the body needs for its health. 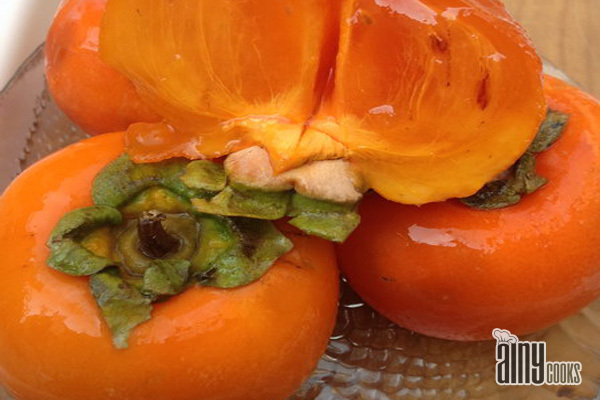 Persimmons have a high iodine content and regular consumption helps improve the thyroid gland’s functioning. Eating persimmons has many health benefits, but you should try to avoid eating the skin as when ingested the bezoars can react badly in the stomach. i wanted to know how to cook puri , i hav tried it many tyms but it is not as it should be. Thanx madeeha for visiting me ,ok i will post recipe of puree…am i right ur asking abt puree or halwa puri…plz clear it…. :)then i will try to solve ur problm..